My husband just spent time at the range this week leading a firearms training and working with officers on tactical shotgun manipulation, skills and drills. He loves this part of his job and loves teaching and mentoring other officers. Their attitudinal approach toward the training effected their success during the training. Some were confident with their abilities and did well. Others weren’t confident but wanting to learn. Others were confident with their abilities to the point of carelessness. And then the final group were not confident and made excuses for their lack of ability and desire to learn and blamed or even criticized the instructor. I realized that there are similar attitudes and approaches in relationships. There are situations in which we understand and feel confident. There are other times that we know the territory, but because something is different we seek to grow and understand. Finally, there are times when we are so unwilling to let go of what we think we know, that we miss the opportunity to grow or learn from each other. We hold on to these beliefs in such a way that we are willing to criticize and maybe even blame the other person. There are those at the range who have not practiced with their weapon or those who have picked up some bad habits along the way that prevent them from being successful. Instead of being open to assistance, these folks get defensive. They work hard to defend themselves and protect against being seen as incompetent or less than. Because of the defensiveness, these individuals might criticize the training or instructor or find something to blame for their lack of effectiveness. They are stuck because they are unwilling to accept their own inadequacies and to accept the aide of those around them. There are times in our relationship that we may not know the territory but we are unwilling to open ourselves up to exploring that territory. This might be due to fear or an unwillingness to accept something about ourselves. Whatever that may be, we stand unwilling to see the other person’s side because we are so busy protecting ourselves. We prevent ourselves from growing or growing close to our partner when this happens. Some folks don’t get out to the range and/or do not own a shotgun to be able to practice. Each time the weapon is placed in their hands, they have to re-acclimate to the weapon and it may take a while to remember all the controls and for the muscle memory to kick in; this is where I am at the beginning of every hunting season! These folks know that they need to tune back in. They admit that they may need some help and give themselves permission not to have all the answers. They remain open and curious about the weapon and their abilities in order to get the most out of the experience. They may not be 100% proficient but they try and work to improve. If we walk into conflict with our partner in the same way, we give ourselves permission not to know all aspects and thus remain curious as to the struggle and conflict. We may attempt to understand the other’s perception and fail, but we keep trying, which sends a message of care to our partner. Some of the folks on the range were confident with their abilities with the shotgun but were careless about shot placement or safety of the weapon. We know how dangerous that can be. In a relationship, we might feel confident but, during conflict, get careless about our words or behavior. This is a way the relationship gets damaged and can sometimes lead to abuse. We can be confident in what we are saying, the fidelity of the relationship, or even our ability to handle conflict but when the conflict happens we get excitable in the moment and do not think before we speak or act. I commonly say, it’s toothpaste out of the tube, which is my metaphor for saying you can’t take things back after they are said or they occur: words injure and stick. We may not mean them but after they have left the muzzle, it’s too late to change the trajectory or the damage that has occurred. Finally, there are those on the range who were confident in their skills but purposeful in their behavior. Their confidence helped them to know they were able to do the job but their mindful clarity helped them to know to think things through, breathe, and take the shot in a timed and careful manner. They may gather information as they go along but they keep moving. The same principles apply to our relationship. Our confidence in our partner, our feelings for each other, and our desire to be together can be calming in itself. 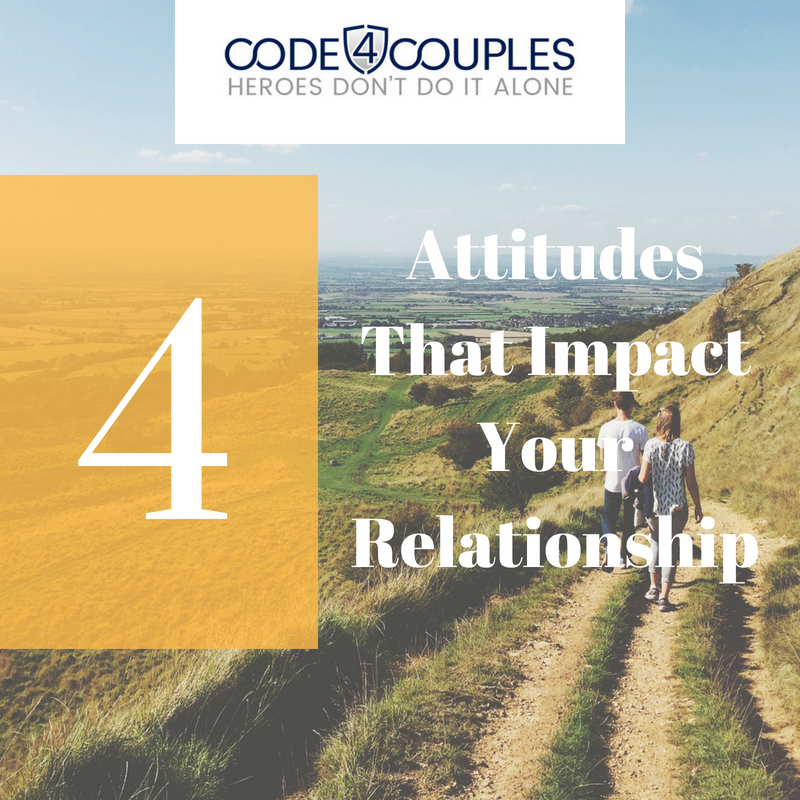 We help to mitigate conflict when we have confidence in our relationship and take some calming breaths. Take the time to think through your words and consider what you want to say before you speak. I know that I have been in each of these places at various times. I have been defensive and stubborn and I know I have been careless and said things that wounded. Our relationships are much more dynamic than a shotgun. However, we can consider WHO we want to be on the field of our relationship. We will NOT be perfect as situations and topics of conversation will change. Think about your relationship and the times that you have successful communication and conflict and when it fails. Consider what category you fall into and how you can work to change and move to a more positive position.